Charitable fundraising services to support scientific medical research into the prevention, treatment, and cure of prostate cancer; raising public awareness by campaigns, newsletters, pamphlets, and bulletins, and providing information and education regarding prostate cancer. 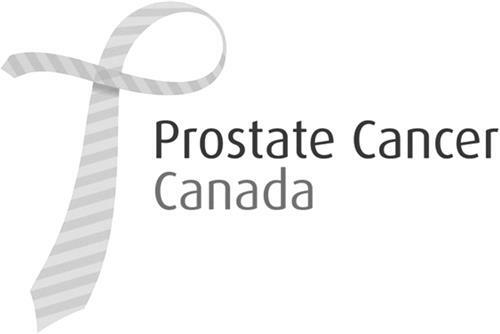 On Friday, December 5, 2008, a canadian trademark registration was filed for the above pictured logo by PROSTATE CANCER CANADA 145 Front Street East, Suite 306, Toronto, ONTARIO, CANADA M5A1E3. The Canadian IP office has given the trademark application number of 1420819. The current status of this trademark filing is Interruption of proceeding. The correspondent listed for is DERWIN WONG of (MORRISON BROWN SOSNOVITCH LLP), 1 TORONTO STREET, SUITE 910 - P.O. BOX 28, ONTARIO, CANADA M5C2V6 The trademark is filed in the description of Charitable fundraising services to support scientific medical research into the prevention, treatment, and cure of prostate cancer; raising public awareness by campaigns, newsletters, pamphlets, and bulletins, and providing information and education regarding prostate cancer. .
(1) - Charitable fundraising services to support scientific medical research into the prevention, treatment, and cure of prostate cancer; raising public awareness by campaigns, newsletters, pamphlets, and bulletins, and providing information and education regarding prostate cancer.